The streaming giant has lured scores of defectors by offering big increases in compensation. Netflix Inc. has turned heads in Hollywood by spending billions of dollars to lure filmmakers and viewers from rival TV networks. But it’s also frustrated competitors in a less-public way: by poaching talent and driving up pay. The streaming giant has lured scores of defectors by offering big increases in compensation. Recruits are securing as much as double their pay, including stock and other benefits, people familiar with the matter say. With $10 billion for programming and marketing this year — and a stock that’s vying again to lead the S&P 500 — Los Gatos, California-based Netflix is upending the way people get paid in Hollywood. TV networks and studios are struggling to keep up with a rival who will spend $300 million on a top producer like Ryan Murphy and pay lavishly further down the food chain. “With combinations of base, bonus, equity and long-term incentive, new-media companies are figuring out ways to beat traditional studios,” said Neal Lenarsky, founder of STI Management, which represents executives in the media industry. Old Hollywood is trying to respond. Some studios have pulled back from selling shows to the online service. Walt Disney Co. went so far as to yank its movies from the company and is launching streaming services of its own. 21st Century Fox Inc. sued in 2016, claiming the company induced executives to breach their contracts. Netflix countersued, and the case is inching along. None of that is stopping Netflix from attracting publicists with as much as $400,000 in salary and other compensation, or about double their prior paychecks, according to the people, who asked not to be identified discussing private compensation data. More senior professionals are seeing similar increases, said one executive who was approached by Netflix. In making offers, Netflix estimates a candidate’s value based on experience and title, according to employees who asked not to be identified discussing company policy. Then it pays the recruit at the top of what the corresponding range might be. The company also allows candidates to take as much a 50 percent of their compensation in options, they said. A recent change in California law bars employers from asking applicants about their prior salary. Titles at Netflix don’t necessarily correspond with Hollywood convention. For the most part, the company has just three executive roles — director, manager and vice president — and some represent real promotions for people jumping over. Netflix also lets some staffers see what co-workers earn via an internal database, according to the people. And while many studios reward employees with amenities like a large personal office and titles that seem to confer prestige, almost no one at Netflix has an office. 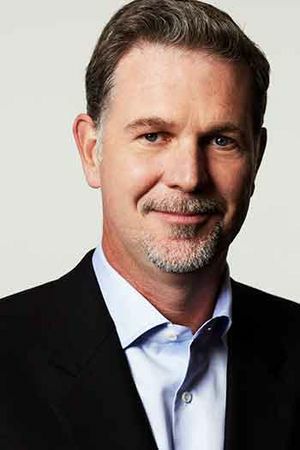 Not even CEO Reed Hastings, who co-founded the company. Netflix employed more than 5,400 people at year-end, fewer people than its competitors in media, and sales are projected to reach $15.8 billion this year. CBS Corp., owner of the CBS and Showtime TV networks, has a payroll of more 12,000 and revenue projected at $14.5 billion this year. Perhaps nowhere is Netflix more aggressive than in marketing and public relations. The company will spend about $2 billion promoting its service and shows this year. The company lists almost 500 openings on its website, with about a third in Los Angeles and more than 50 in marketing and PR. Once wholly dependent on older movies and TV shows licensed from other companies, Netflix will release 700 original programs this year, including 80 movies. A growing share is produced in-house by Netflix Studios, based in the company’s Hollywood offices. Producing and promoting those shows requires an expanding legion of employees, from colorists to sound engineers to publicists. Netflix is looking to hire dozens of executives for production and post-production jobs, and still more for marketing. Experienced staffers are in short supply, forcing Netflix to raid rivals who also happen to be programming suppliers. Last year, Netflix hired Bela Bajaria, formerly with Comcast Corp.’s Universal Television, to oversee unscripted TV, as well as Scott Stuber, a producer based at Universal Pictures, to run feature films. Julie Fontaine, executive vice president of movie publicity at Lions Gate Entertainment Corp., jumped to a similar post. The company has recruited dozens of PR people from agencies and studios including Fox and Disney. Some analysts have questioned Netflix’s outlays, arguing there’s no way the company can turn a profit while spending at its current pace. But CEO Hastings and his team have satisfied investors by delivering record subscriber growth. Hastings was asked about sky-high talent spending at a recent event at the company’s Hollywood offices. Besides Ryan Murphy, Netflix also snared Shonda Rhimes, at producer at Disney’s ABC, in a deal valued at more than $100 million. Lucas Shaw of Bloomberg News in Los Angeles contributed to this story.